Personality Resources International (Canada) Ltd. The editorial staff of Pro-Files Magazine present engaging articles that give enlightening perspectives about issues that exist in business, finance and the health industry. These articles are interlaced with discussions about achievements of members that have varying levels of expertise and qualifications in industry-specific sectors. 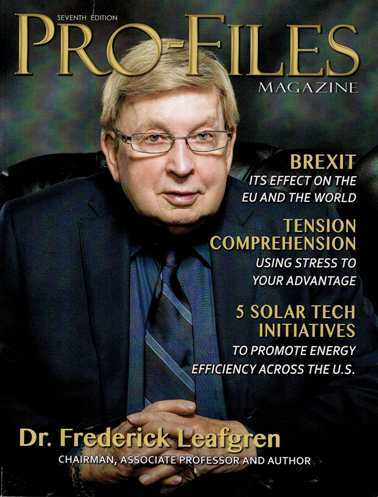 In the next issue of Pro-Files Magazine we are featuring Dr. Frederick Leafgren, the Chairman of Personality Resources International, and how he optimizes the strengths of diverse personality types with innovative solutions, applications, and workshops.